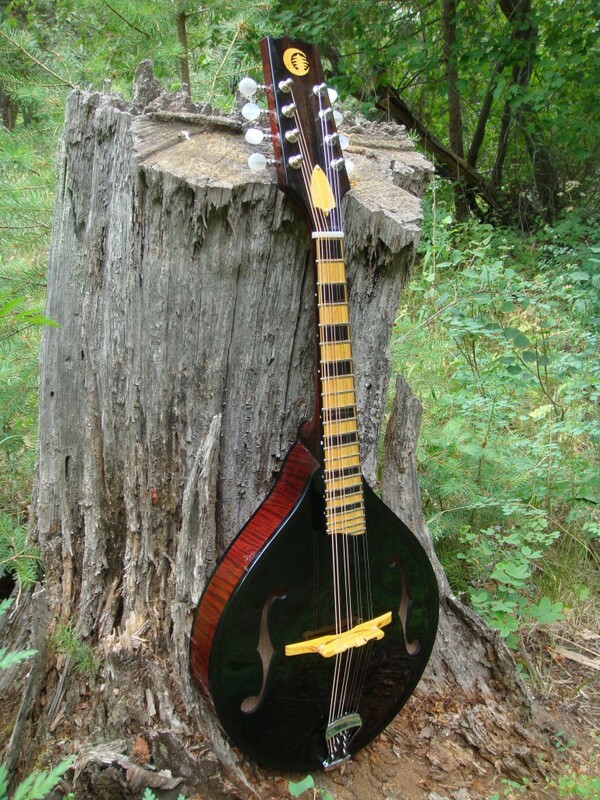 #82 is only the second A style mandolin built. The first was #37. 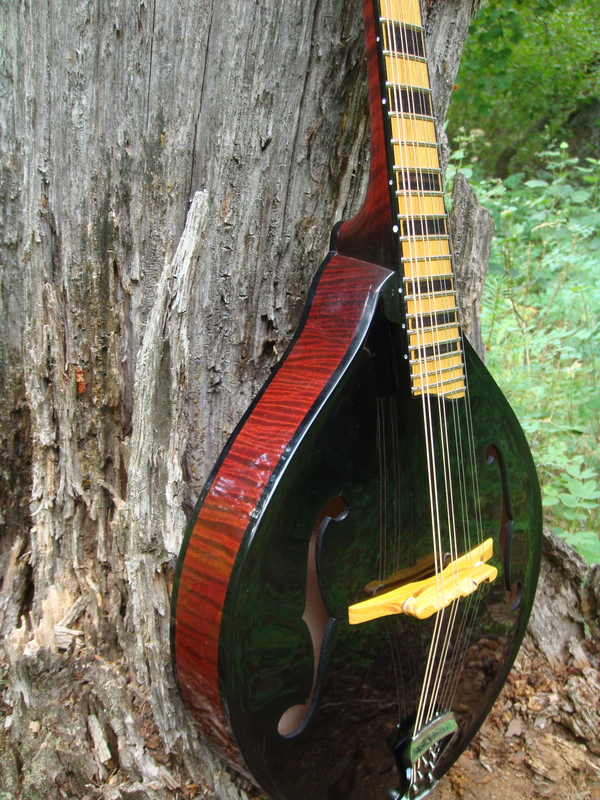 The fretboard, bridge, endpin, trussrod cover and logo inlay are all Osage Orange. In time it will oxidize to a dark brown. 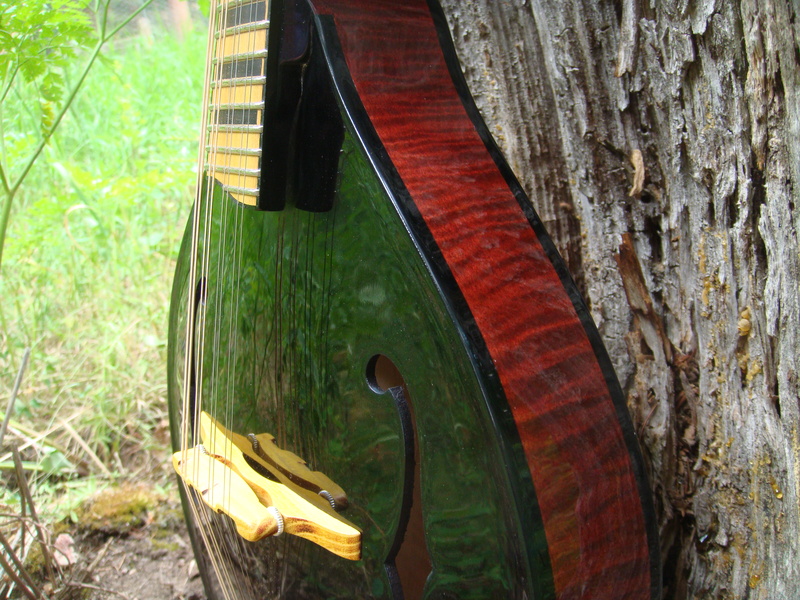 The block inlay and headstock veneer are Ebony. The side position markers are pearl. 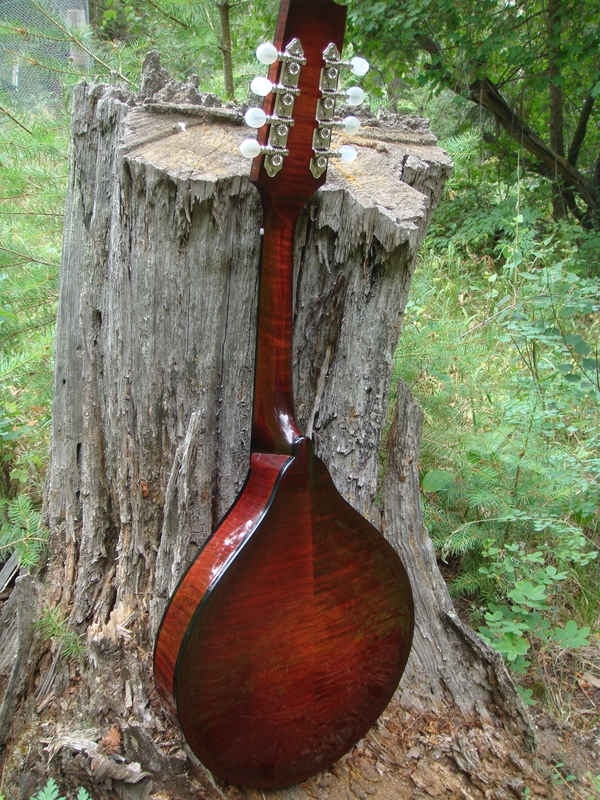 It has stainless steel frets, Schaller tuners and a Montleone tailpiece.